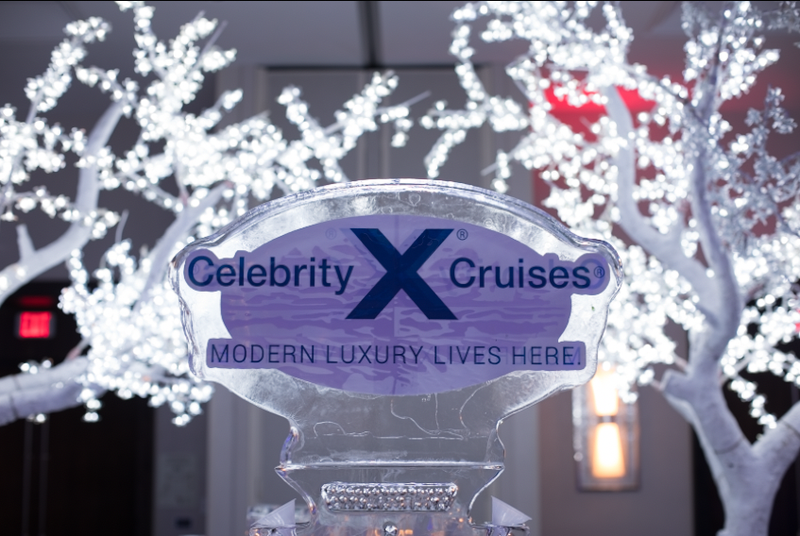 As a presenting sponsor for this year's LLS Ft. Lauderdale Man & Woman of the Year fundraising competition, Celebrity Cruises provided not only the winning Woman of the Year (Michelle Homoky, VP Sales), we also provided high fashion elegant entertainment elements and atmosphere. Guests were welcomed to the ball in style as they were greeted by our performers and danced the night away with our dancers from Celebrity Equinox who performed a special edition of MASQUE, one of our onboard theme parties. "Man & Woman of the Year is philanthropic competition to support blood cancer research among a group of motivated and dedicated individuals in communities across the United States. Candidates form powerful fundraising teams and compete in honor of two local children who are blood cancer survivors." Cast Members of the Celebrity Equinox performing atmospheric theme event MASQUE at the Man & Woman of the Year Award Ceremony in Ft. Lauderdale, FL. Celebrity Cruises presenting for the Leukemia & Lymphoma Society. Atmospheric entertainment elements presented by Celebrity Cruises Entertainment.